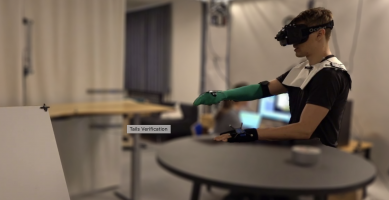 As part of Aarhus University Digital Innovation Festival we open up many of our digital labs and showcase some of the projects and tools top digital researchers are using every day. Join one or all of the various guided tours to student- and research labs at Katrinebjerg. Guided tours of approximately 20 minutes each will be announced at the Open Katrinebjerg event in the Nygaard conference area. Get a guided tour of CAVI, aka the Center for Advanced Visualization and Interaction. 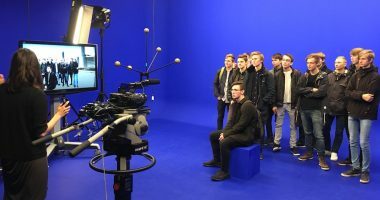 On the CAVI tour, you will get to see the interactive terracotta warrior, the interactive music table Radartable, and a number of other inventive examples coupling digital technologies with the physical world. CAVI has existed for almost twenty years and has formed a framework for the design, development and production of a large number of projects that unite research with the concrete application of digital technologies. CAVI is as an interdisciplinary research center at Aarhus University, Denmark. CAVI’s original researchers primarily had a background in interaction design, but in 2013 a core group of Aarhus University’s digital aesthetics researchers joined CAVI. 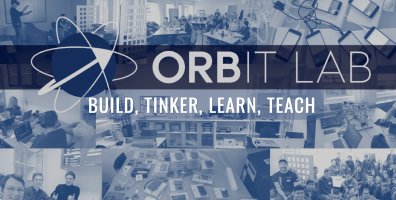 Take a tour of ORBIT Lab at the AU School of Engineering. At the Katrinebjerg-based tech hub you get to see the facilities, study environment and equipment, plus get a brief introduction to some of the emerging technologies they are working with … They might even have a demo or two, for you to try! The iRum is an experimental facility for students and researchers at the Department of Computer Science, Aarhus University. The lab is used for prototypes mainly in connection with our Ubiquirtous Computing and Interaction group. Many students also uses the iRum for building and testing prototypes in project course and thesis work. The NeuroTechnology Lab is a research laboratory hosting activities within a broad spectrum of technologies related to the human nervous system. The lab is equipped with instruments for biosignal recordings, custom build equipment for specific experiments, and conventional electronic lab instruments. 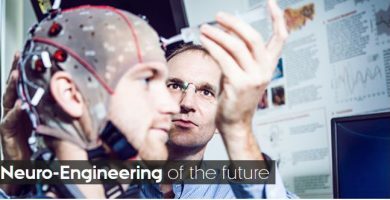 We will give a general introduction to the activities going on in the lab, and in particular show our ear-EEG technology for real-life brain monitoring. The Integrated Circuits and Electronics Laboratory (ICE-LAB) is a state-of-the-art Lab with all hardware/software tools to design and simulate circuits from device to architecture. The lab is used for conducting research in integrated electronics including analog/RF, mixed-signal and digital electronics with focus on energy-efficient integrated circuits and systems. Within this tour, we will present a summary of our activities within biomedical IC design and neuromorphic computing. Afterward, we will do a demonstration of ultrasonic energy harvesting for brain implants for optogenetics, heterogeneous integration and spintronic devices characterization. You will be able to meet the following key players within the digital space at Aarhus University and Katrinebjerg. Open Katrinebjerg will give you a unique insight into some of the research activities that are carried out at the heart of the IT-City Katrinebjerg. Here, you will get a first-hand experience to what the IT-City has to offer. Open Katrinebjerg provides a unique opportunity to network and meet other companies, researchers and students in an informal setting. A reception-like dinner and drinks are served, the event is free of charge, and everyone is welcome.